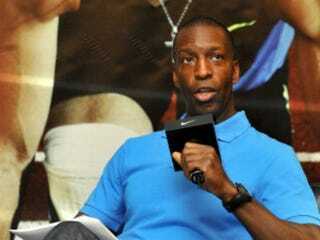 Four-time Olympic gold medalist sprinter Michael Johnson is catching heat for a recent comment that he made about black athletes, according to the Los Angeles Times. In an interview with a British newspaper, Johnson said that he believes slave descendants make superior athletes, adding that such controversial topics should not be avoided, especially as the world begins to turn its attention to the London Olympics. "All my life I believed I became an athlete through my own determination, but it's impossible to think that being descended from slaves hasn't left an imprint through the generations," he is quoted as saying in an article in the British newspaper the Daily Mail. "Difficult as it was to hear, slavery has benefited descendants like me — I believe there is a superior athletic gene in us." What do you think? Does he have a point or is this just plain crazy talk? Tell us in the comments.